> phone: + 62 361 – 732 186, 733 448. People sometimes confused it with Kumala Pantai Hotel. It’s near the Kumala Pantai but this is a budget hotel while Kumala Pantai is a luxury one. 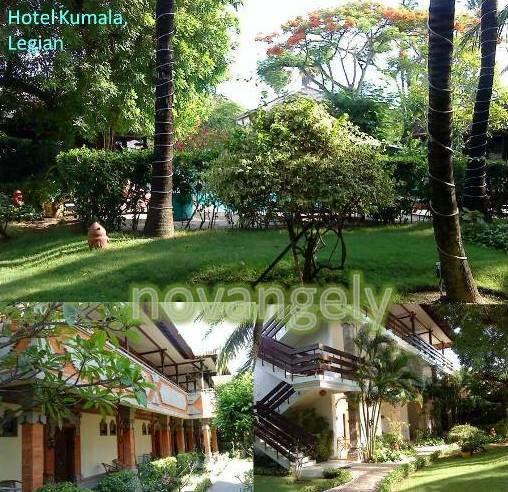 Grand Kumala has 2 swimming pools surrounded by garden and hotel room in couple of buildings. When I was there on 2010, I checked the room rate was starting from Rp. 275,000 nett for standard room with AC and breakfast. Great place to stay..Would not stay anywhere else..price is right .staff are great.breakfast very nice.the grounds are just beautiful.Rooms are big .All up the hotel is great for the price.